The Family & Medical Leave Act (FMLA) is a federal law that provides eligible employees with job-protected leave in certain circumstances. Employers often find it difficult to administer because it’s requirements can be confusing and eligibility is not always clear. It’s important for employers to understand FMLA and their responsibilities because failing to administer it properly can expose the organization to significant legal liability. This training will break it down to its fundamentals; making it easy to understand and (hopefully) easier to administer. 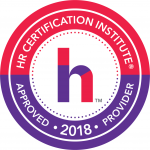 This program has been approved for 2 HR (General) recertification credit hours toward aPHR™, PHR®, PHRca®, SPHR®, GPHR®, PHRi™ and SPHRi™ recertification through HRCI. 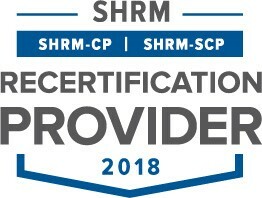 This program is valid for 2 PDCs for the SHRM-CPSM or SHRM-SCPSM.